« 10.000 και πλέον επισκέπτες έδωσαν το παρόν σε ένα μοναδικό τετραήμερο αφιερωμένο στο design ! 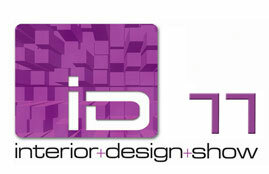 This entry was posted on 26/09/2011 at 10:40 ΜΜ and is filed under Interior Design Show 2011. You can follow any responses to this entry through the RSS 2.0 feed. You can leave a response, or trackback from your own site.